What Kind of Friend are YOU! I know that we have all had people who we thought would be there until the end of time. We have found out that 95% of the time, that does not happen. We have also found out those persons are like the last part of the verse above, they will talk about you and if you have made a mistake, they will judge you until they are in their grave. In others words their mouth has separated a close friendship. That is really shameful, mostly when you thought those persons were your shoulder to cry on and buddy forever. 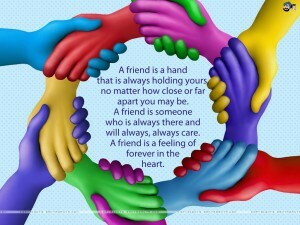 A true friend is always there. they will not judge you. They will stand by you, and even if you were wrong, they will still lift you up, and love you. As for myself, I have had friends a long long time that I can call on in a minutes notice. We may have not been able to see or speak to one another in months or even years. But, I know I can count on them. Everyone has been hurt at times. But, remember, a true friend forgives, and yes, even forgets at time. I know that for years I was an very important part in a Ministry. Helping to organize the Ministry and everything. Then after we left they had a celebration to celebrate the Ministry. I was hurt so bad. Why? I was even invited to the program. Again, yes, when I heard about it, it did hurt. But, you know something, I feel with all my heart I could call on those persons and they would be there for me. See, True Friends are Friends forever, when the Lord is on their side. Below are a few quotes made by some familiar people. I love the one made by Bernard Meltzer, it says it all. Read them all and enjoy. “A friend is someone who sings your heart’s song back to you when you have forgotten the words.” ~ David Coppola, Ph.D. If clicking on picture below does not play, please click on the link. “You may know of Jesus, but do you truly know Jesus? If not ask Jesus to come into your heart today. 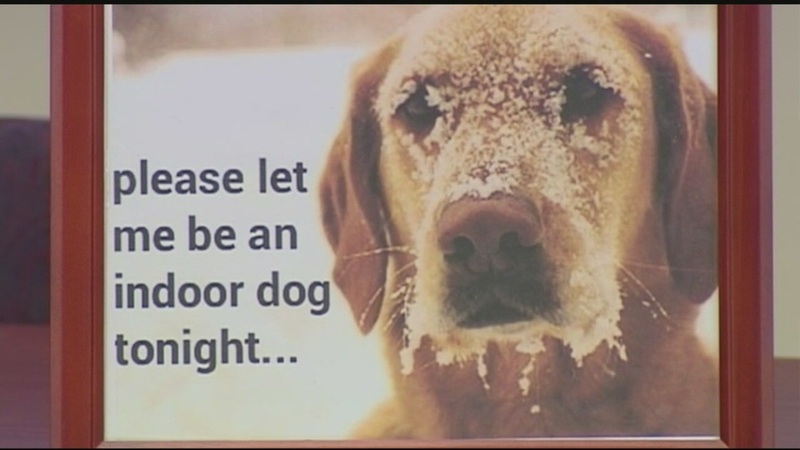 He is just standing at the door knocking, and waiting for you to invite Him in. Lord, I went to church, Please Jesus, I believe. Lord, there were too many hypocrites. They weren’t being true. They weren’t real. You know. He whispered while tears were running down His cheeks. DEPART FROM ME, I KNOW YOU NOT. At times in Our lives, we seek God. But, we should seek Him every minute of everyday. Each morning God prepares a feast just for you and me. He waits patiently for us to come sit at His table and get our instructions for the day. When we do not take the time to start our day with God, I promise you that your day will not be blessed with His mercy, love, grace, peace and direction. Seek God daily for Wisdom, knowledge, understanding, common sense and guidance. 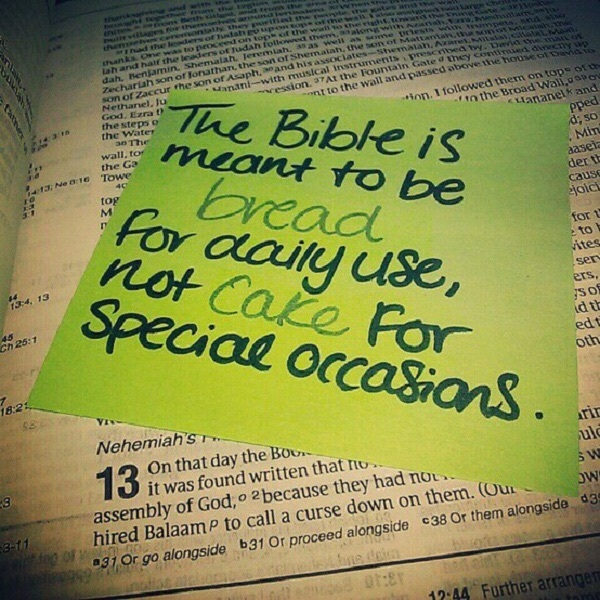 Yes, the Bible is our daily Bread. It is not just a treat on special occasions. 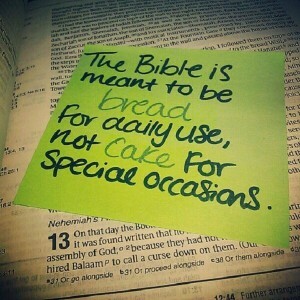 So, today, sit down and have breakfast with God. I guarantee it will be the best meal you have had in a long time. I know that each of you, just as I have, has faced times of life that we thought we would not make it through. 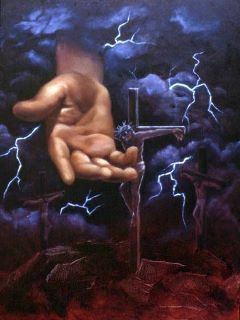 But Praise God, He was there, Through It All. No matter what you are going through know that God is with you and will continue to love and protect you. 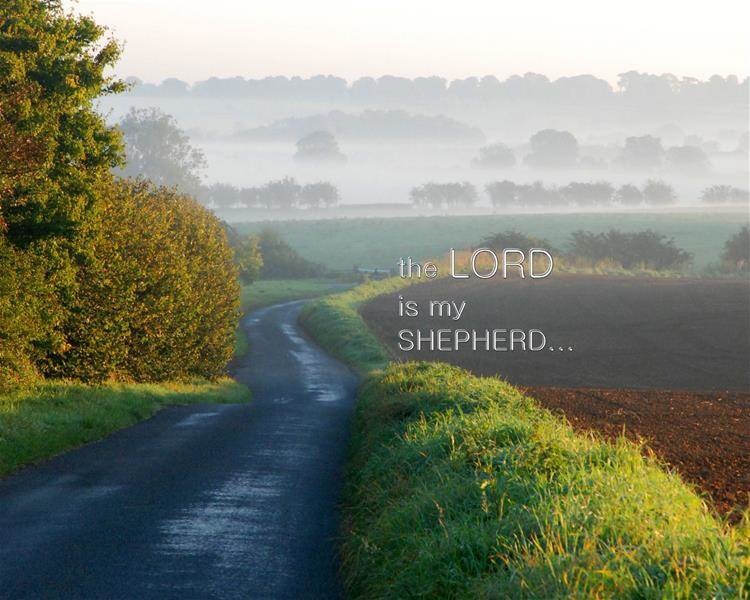 Today let’s look at Psalm 23. Read each verse and realized that God is always there for us, no matter what our circumstances. He loves His children, and wants the best for all of us. Psalm 23: 1-6, 1The LORD is my shepherd; I shall not want. God’s people must actively, consciously trust that God’s Word is true and that He always acts in accordance with it. Every situation we encounter is an opportunity to choose to trust God rather than our own inclinations. Faith involves an element of risk, but always yields the richest dividends. Choose to believe that the Lord will never forsake you when you trust Him. Know that the Word of God has been proven to be absolutely trustworthy. Expect Jesus’ shepherding care. 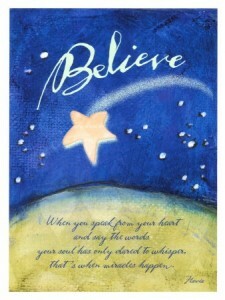 Believe the Lord for your vindication, not seeking it yourself. Consciously commit all your plans to the Lord daily. 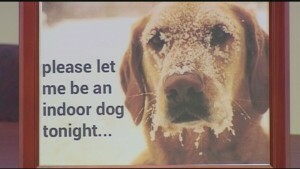 Do not presume His help if it is uninvited. We need to remember that God has allowed each of us our own self – will. God is a gentleman and will not go against our will. This is the reason we do not need to presume His help if it is uninvited. God will run to us with open arms when we depend on Him and call on Him. 3 John 2-11 2 Beloved, I pray that you may prosper in all things and be in health, just as your soul prospers. 7 because they went forth for His name’s sake, taking nothing from the Gentiles. The godly desire physical health, emotional stability, and prosperity to be established in the lives of others. Those who are so blessed should be eager to receive and support those ministers who are serving God. Prosper in your soul. Understand that health and prosperity are affected by the spirit. Be assured that God rejoices over His children who put God’s Word into practice daily. Be eager and faithful to show hospitality to those who labor in the gospel. Recognize that this is how God wants us to treat His servants. Beware of those who want preeminence in the church. Reject those who are malicious gossips. Reprove those who reject righteous ministry because of envy and jealousy. Pat’s Opinion: When we read these verses we can see that there are six things the Lord hates. They are: when we act proud, lie, hurt the innocent, premeditate evil, run to take part in wrong actions, and spread gossip. He then says of all these things that the seventh is an abomination to Him, and that is when one instigates problems between people. In our churches today that seems to be the most common problem. I believe that a lot of times it is caused by jealousy. If we would read this scripture and really think about it, I am sure it would stop so much discord among church members and the world as a whole. Do you understand that He is saying that to sow discord is an abomination? Webster defines abomination as intense aversion or loathing. He also describes loathing as a strong dislike mingled with disgust. Hey! Do you get this yet? God gets disgusted with us. Even though He hates the first six, the seventh is the worst. Yet, why are there so many churches who are losing members because they cannot keep their mouths shut? Acts 2: 17-21 17 ‘ And it shall come to pass in the last days, says God, That I will pour out of My Spirit on all flesh; Your sons and your daughters shall prophesy, Your young men shall see visions, Your old men shall dream dreams. 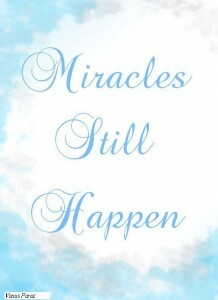 Miracles, Signs, and Wonders. Without exception, miracles, signs, and wonders accompanied the ministry and preaching of the early church. 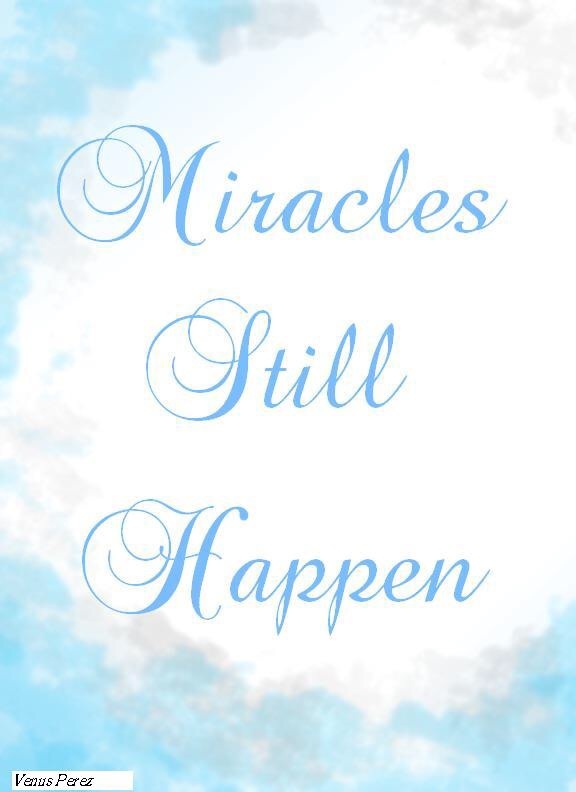 In the scripture above, Peter reminded the people that Jesus’ credibility was based on His miracle ministry. This same credibility accompanied those set apart in leadership, such as Stephen, Phillip, Barnabas, Silas, and Paul, as well as the original apostles. Miracle, signs, and wonders were commonly accepted in the early church, and leaders led the way in giving place to such ministry. Also, the early church leaders prayed for miracle seeing them not as random, occasional events, but as worthy evidences of God’s anointing, continually glorifying Christ through the church, and therefore to be sought and welcome. We as disciples today need to want and welcome these same miracles, signs and wonders, in our churches. Some say that this was just for the days of Jesus and His disciples. In reading the above scriptures as well as the ones below, we see that it is meant for today also. John 14:12. 12 “Most assuredly, I say to you, he who believes in Me, the works that I do he will do also; and greater works than these he will do, because I go to My Father. 14 If you ask[c] anything in My name, I will do it.